Following the inability of Nigeria to go beyond the group stage of the on-going World Cup in Russia, President General of Nigeria Football Supporters Club, Dr. Rafiu Oladipo has called for the total restructuring of the country’s football. He stated that it’s unfortunate that the Super Eagles lost an important game with five minutes left which he attributed to technical deficiency of the coaching crew. Dr Oladipo lamented that instead of the country’s football progressing, it is retrogressing and wondered why the Super Eagles which got to the second round of the Mundial in 1994 and 1998, suddenly could not make it pass the 2010, 2014 and this year, describing it as absurd. 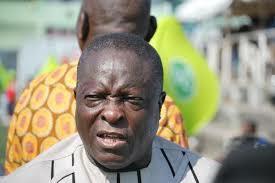 “It’ s unfortunate that our football is going down gradually and instead of building on the achievements of 1994 and 1998, we are retrogressing which shows that there is a fundamental problem with our football,” lamented Oladipo. On why hundreds of members of his club who travelled to Russia where not visible during the match against Argentina, he put the blame on the doorsteps of the NFF whom he accused of doing little or nothing to encourage the club in Russia. “I want to inform Nigerians that the NFF never encouraged us in Russia. I had to write to FIFA before we could be allowed to enter the stadium with our drums during the match against Argentina. I also wrote another letter to the LOC before we were allowed to use group ticket to board to match venues. “As if this was not enough, we also paid for our match tickets. This made us not to stay as a group at the stadium to give adequate support to the team which led to the result we got in Russia,” he concluded.